Dear Bob, It’s been 35 years since your death, yet no other singer or songwriter has articulated both the condition of the marginalized and the humanistic potentials of psychic decolonisation more than you. And, arguably, no other public intellectual has illuminated the role racism and classism play in shoring up the neocolonial political economy as poetically as you have. 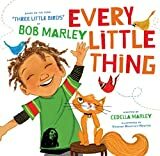 |One of Bob Marley’s ‘Three little birds’.